The MB Jazz Academy is a free 6 Session Course run by leading jazz educators and performers to teach fundamental jazz skills through playing and exploring. Topics will include Time and Feel; Jazz Harmony; Jazz Language for Improvisation; Jazz Chords and Building A Solo. The course is for any musician hoping to gain a better understanding of performing jazz and improvising. If you currently play jazz but feel that your understanding is limited to blues scales and intuition, this course will be perfect for you. The course aims to demystify some of the complexity surrounding jazz conventions and to explain in simple terms how to make the most of improvising and playing the music. The course is free to any musician aged 14-21. All instruments are welcome. Ability to read music highly encouraged. Knowledge of major scales also very helpful. Guitar and bass amps, piano and drum kit will be provided. All sessions will take place at The Lantern Theatre, Mountbatten School, Romsey SO51 5SY. Session timings are 6.30 - 7.45pm. (NB Any date changes will be communicated nearer the time). Each MB Jazz Academy session will be followed by a Jazz Jam Session from 8-10pm. This jam session is open to all abilities and ages and is in a relaxed and friendly environment. There is a £3 entry charge, refreshments are available. 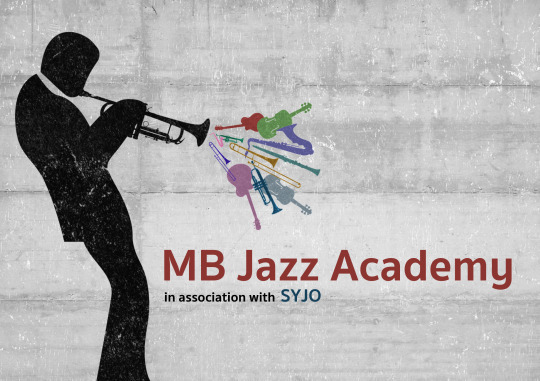 If you have any queries, please email syjo.music@btinternet.com with the subject heading “MB Jazz Academy”. Please use the following link to sign-up for the course: http://ow.ly/Hoex305264s We look forward to seeing you on Nov 18th! The Swiss town of Montreux sits on the edge of Lake Geneva, surrounded by mountains and stunning picturesque views. Each year, this magical setting plays host to one of the best-known jazz festivals in the world featuring great artists. This year, for the second time, SYJO was also on the bill and performed two gigs at the Music In The Parc venue to large and enthusiastic audiences. It is no secret that SYJO contains some of the best young jazz musicians in the country and they cemented this reputation with some blistering performances. In particular, the band’s arrangement of A Love Supreme by John Coltrane was extremely well received leading to offers of future concerts as far away as Japan! The Montreux trip caps a hugely successful year for SYJO which has included performances with sax masters John Surman and Jean Toussaint, appearances on London Jazz Radio, an invite to the National Music for Youth festival and several of the band being offered prestigious places at leading Music Conservatoires to study jazz. On Tuesday 16th June, the award-winning SYJO will be playing at Talking Heads venue in Portswood with a true master, saxophonist Jean Toussaint. Toussaint’s CV reads like a who’s who of jazz, having played with Art Blakey, Wynton Marsalis and Horace Silver amongst others. SYJO & Jean will be exploring classic Blue Note Records tunes including compositions by Herbie Hancock and Horace Silver alongside an arrangement of the entire John Coltrane album “A Love Supreme”.